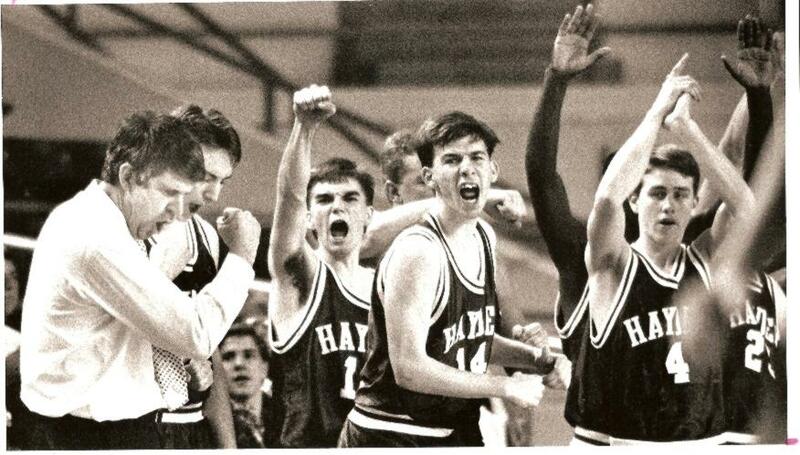 Coach Meseke and players celebrate in Salina - HAYDEN 71 PARSONS 49. Photo courtesy of Topeka Capital-Journal (Margaret Clarkin). 12/22/1992 Topeka West L 48 62 Bueltel A.C.
2/9/1993 Ossawatomie W 59 53 Bueltel A.C.